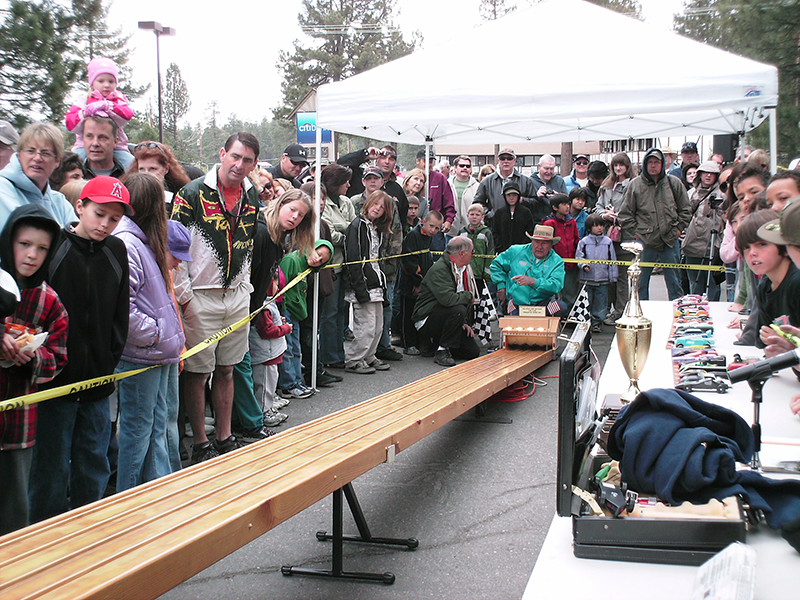 Pinewood Derby and Show N Shine are always free events and always held the Sunday of Memorial Day weekend. 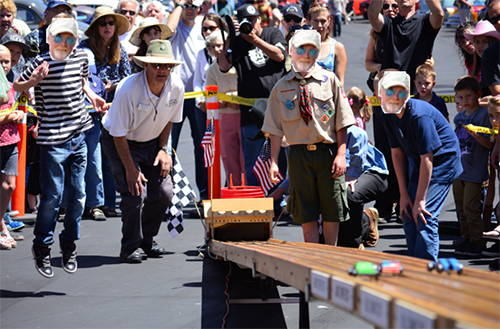 The Pinewood Derby project is designed for all Big Bear Valley's 5th grade elementary students and local Boy Scouts. Car Club volunteers first visit the local Valley's schools in January of each year to visit teachers and students to ensure the club orders enough Pinewood derby car kits. Kids take home these kits, shape, modify and trick out and pre-qualify their custom rides to compete for the Memorial Weekend Pinewood Derby Race. 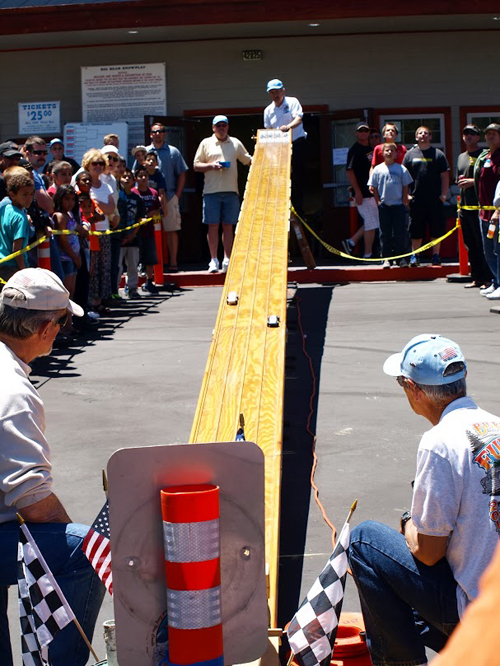 The Club's volunteer's assemble the 48' race track at each of the Valley's schools, where students race their pine cars with one another. The top 12 finishers in each school will race each other for the Club's Annual Great Pinewood Race Perpetual Trophy.